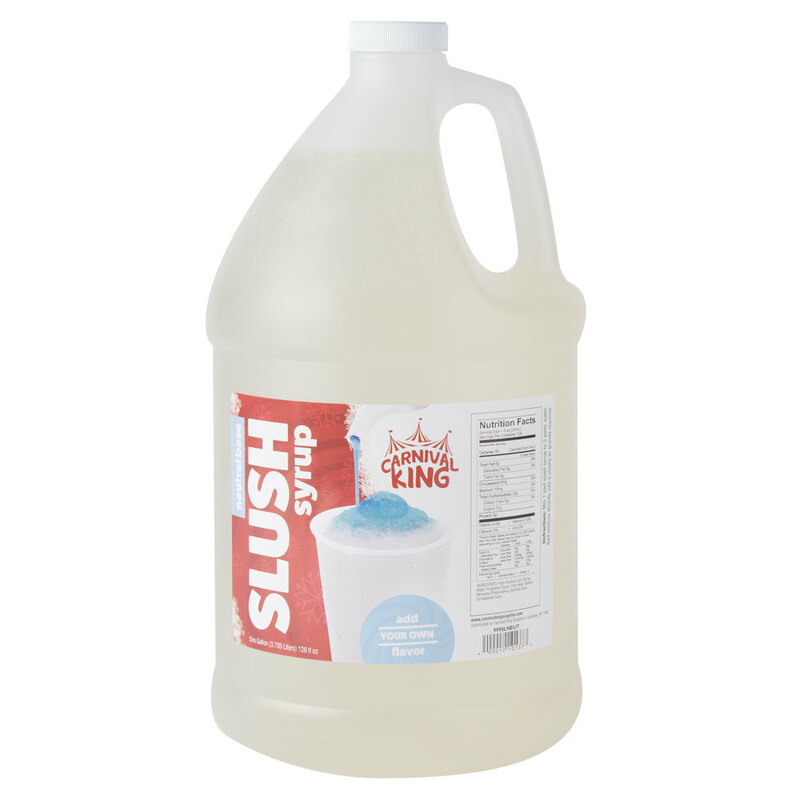 Beat the heat with a cool and refreshing slushy or granita made from this Carnival King 1 gallon neutral slushy syrup! Guests will start craving your colorful slushies as soon as they see them at your carnival cart or concession stand. You can even begin offering light and sweet granitas to put a new spin on your coffee shop or cafe's drink menu. Just a small amount of this syrup will help you make a large number of profitable drinks! Carnival King offers great flavors at a great value, and this neutral syrup makes the perfect base for your flavorful slushies. Simply fill your slushy maker with this flavorless neutral base and it will dispense clear. Then, after it's been dispensed, add 1-2 pumps of flavored syrup on top and stir. This method allows you to offer several different flavors using a single slushy machine! In addition, you can also use this neutral base to create your own slush flavors with your own flavorings and juices for a more custom taste.